The Chaos freestyle kite is a highly technical freestyle / wakestyle kite capable of winning world class freestyle competitions. Everything put into this design is aimed at performing at the highest level of freestyle. This high aspect C shape is exactly what is needed for bursts of speed and the ability for the lines to slacken when unhooked. With the Chaos, you can throw a kite loop with the tightest arc possible, and the kite will hit the zenith with plenty of time to cushion your landing. He probado estas cometas en las tres medidas más grandes con vientos que oscilan entre 12 a 24 nudos. La cometa tiene una calidad de acabados supremos, la barra 2015 es con diferencia la mejor del mercado. En cuanto a sensaciones es una cometa bastante técnica y muy física. Si con una cometa normal te tiras 4 horas navegando, con la Chaos vas a durar mucho menos, es bastante dura de barra incluso en la configuración más light. Además el manejo del kite hay que tirar bien de barra para que responda, a los amantes del wakestyle la gustará, pero para navegar freeride o en condiciones de mar movido vas a quedar hecho polvo en media hora. El relanzamiento del agua no es fácil, si bien es cierto que tirando de una línea de dirección se relanza, con la 13 las pasé muy putas para conseguirlo. El pop no es muy explosivo, para mi gusto no te pega un tirón como otras cometas del mercado, hay que trabajar bastante el kite para saltar, y no es precisamente un kite que tire muy alto. El hangtime es corto, pegas salto y bajas enseguida, pero sin caer a plomo. Tiene buena ceñida, pero con vientos flojos la pierdes, más vale ir cargado. El unhook es fácil y el drift también, la cometa no hace nunca backstall, en eso me gusta mucho. Tiene un buen rango de viento por encima, difícilmente usarás el freno, aún así la cometa responde muy bien con el freno a tope. En mi opinión, la Chaos es muy específico, todavía hay que pulirla bastante para llegar a ser un kite perfecto para progresar y solamente lo recomendaría para wakestylers y freestylers con cierto nivel. 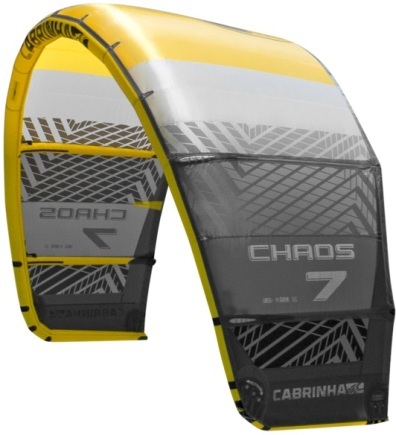 I have tested the Cabrinha Chaos 2015 9m and I was very pleased about the performance of the kite this year. The wind was not so strong for the 9m but the kite was still pretty powerful and it was really easy to get upwind which says a lot about the low-end is even better this year. It was really nice to feel the abilities of the kite when unhooked. The pop in combination with the highly slack in the lines and the stability of the kite is perfect to do your tricks and to improve your riding style. 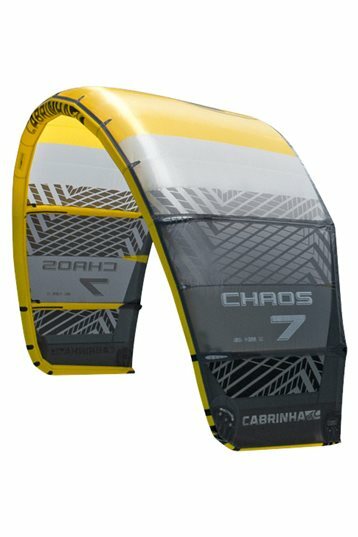 I think the Chaos 2015 model is a really good kite for all the people who like to enjoy their kite sessions to the max and improve their freestyle/free ride abilities on the water. 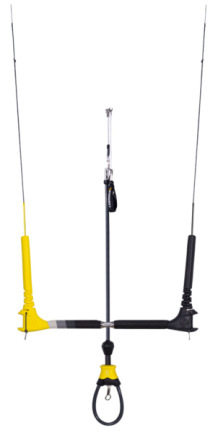 The kite is really easy to use, and the increasingly depower system makes the windrange of this kite really big.